Article spinning is done by the use of search engine optimization called SEO tool. These software are used with the limitation that the content that is produced by them are of lower quality and the reader can identify words in that as no-human used words. Website author use these rewrite software to rephrase their own articles if they want to post it on other blogs and sites. This adds a variation in their works. The software rewrites the entire article or some parts or paragraph, as per the need of the user. This software is also used to avoid plagiarism. Rewrite software are also used by some sites called scraper sites, to rewrite the articles to fill up their webpages and their ultimate motive is to earn through ads. Advertising is their primary content of the website. Article rewriting software use spintax that is the list of texts or contents including synonyms which are integrate into the software. Usually the synonyms are changed to alter the article. Spintax is used for converting the article and new article is formed by altering the texts and synonyms. There are two types of spinning or rewriting that is automated or manual. Manual spinning is expensive as it is done by writer hired for rewriting the content. Manual spanned article is however a unique one. Automatic spinning is done by software and tools that rewrites the article. The level of uniqueness is less than the manual rewritten article. Through spin rewriter a user can rewrite the articles. This is done by using the One-Click Rewrite system. It identifies the text carefully and then suggests a meaningful and appropriate synonym for it. The software has synonyms bank of about 750,000. This shows the software has great potential in changing the article with best possible synonyms. It fulfills different needs of the users whether they want to rewrite a word or synonyms, a sentence or a paragraph as well as an entire article. It uses spintax mechanism. Through this it has the capability to converts any article with its unique syntax mechanism to a new unique article (Rewriter, n.d). The number of article to rewrite is not limited and a user can used the software and rewrite as many article as he wants subject to its subscription of the software. Moreover it has the feature of bulk writing that means a user can rewrite many articles at a time this shows its efficiency and time saving feature. The software gets improve day by day and it has inbuilt feature which recognize the user style of writing and adapt to it. The rewritten article from this software can also be checked on the benchmark of uniqueness easily and instantly that will also come with the subscribed versions. The software supports nested rewriting and has unlimited color coding support for the article. There are regular updates to the software made that enhance its features and also includes new functionality. These updates are free for all subscribed users of the software. Spin rewriter is so much sophisticated that it can be used on different platforms such as windows, Macintosh, even portable devices like Smartphone’s and tablets. It also supports APIs and the user through API rewrite the article that is in the word press blog. Moreover new articles can also be written by the spin rewriter team obviously on request which also may charge some extra fee. The newly written unique article can be sold and distributed through the distribution system offered by spin writer team. 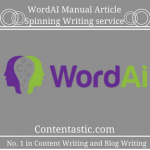 With the use of the spin writer user can make its own unique versions of rewritten article this gives him competitive advantage over the other writers (spinrewriter, n.d). 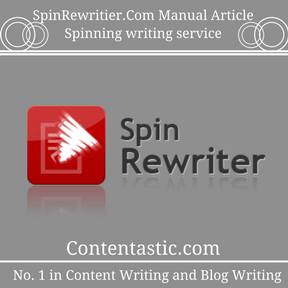 Currently the monthly subscription of spin rewriter is done by only $37.00. While yearly subscription is for $197 and life time subscription needs a single payment of $497. Spin Rewriter is quite different from other rewriting software available in the market. Spin Rewriter doesn’t create unique rewritten article by simply checks the original article word-for-word and proposing equivalent synonyms words. Rather it performs an intensive analysis of the article, it really comprehends the content and after that it utilizes its large database of equivalent words and it also recognizes the words in a sensible manner to deliver best-spun variants of the unique article (colin Klink ert, 2015). On the off chance that needs be, spin rewriter can produce unique articles in an automated manner. 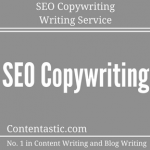 The user can utilize Spin Rewriter’s enormous text rewriting power with other SEO programming items available. 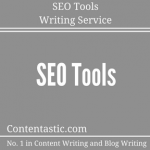 Many SEO software products have an inbuilt integration of spin rewriter. This mix permits to turn the articles, using the spin rewriter technology while never leaving the product you’re presently working with. This collaboration is made possible with that the spin rewriter team has made it to a great degree simple for other programming designers to incorporate Spin Rewriter’s technology into their product. It has a user interface that is not complex and can be easily learned and used by the user. Although tutorials are also provided that shows its usage and functionality. One of the major features of spin writer is that as oppose to other spinning tools and software’s available which uses simple synonym and txt change logic mechanism, spin rewrite has a logical and clear mechanism for the rewriting. This mechanism analyzes the actual relationship and logic between words in a sentence and rewrites the sentence with different set of words but without effect to its meaning. This increases it readability and the user can change its entire article into a new unique readable article that also gives the same message as the original without any error. Spin rewriter can be used for all different purposes of the users. The user can use it for altering any paragraph or sentence as well as even a single word or synonym. For this the paragraph or sentence to be rewrite needs to be highlighted in the software which then be change with proper spintax technology by the tools given in the software. Before subscribing for the software there is a trail offered so that user can make his mind towards purchasing it and whether it suits his needs or not. Spin rewrite also gives a tutorial which helps the user learns the functionality of the software easily. There is a detail summary provided regarding subscription and spin rewriter also allows change in the subscriptions plan. Spin rewriter only supports English language. Therefore any contents that use different language cannot be rewrite using this software. The software team has confirms that there will be no future updates that adds other language functionality in spin rewriter. The latest version of the software is spin rewriter 6.0, which is more enhanced and powerful than its predecessors. The company usually works on word press plugin to add new functions into it. Latest features in this plug in include addition of button, Spin this post with Spin Rewriter that is shown below the post in word press. Through this feature the user can rewrite its post and changes it to a new unique post and can send it easily. Most recent development in word press plug in has a new feature that let the user to use spin rewriter and its spinning technology to converts blogs into new unique ones and then republish them when they reached at certain level such as when posts become older in days. This new feature is automatic when applied, so that it does not requires regular user interaction. 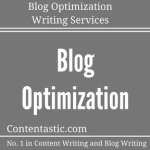 This helps the user to have blog outflow with new more and more posts. Another feature in this latest improvement is that the user can also select and exclude that post that he doesn’t want to republish by rewriting (spinrewriter, n.d). Spin rewriter team usually works on the databases and adds new synonyms and words. They manually review the database. New synonyms are added and integrated in the software. Some new software functionality also gets improvements from time to time. Another update is algorithm update that improves the spinning mechanism. This ensures that the text can be replaced with the correct words and synonyms without affecting the real sense of the sentence. 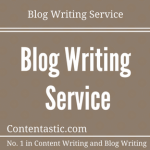 Now spin rewriter after this update has become more reliable software for writers. Different users give their opinion and reviews after using spinrewriter. Overall the reviews are great and 99% customers are satisfied with the software. Spin Rewriter has been rated 9.7 out of 10. The rating is based on the views from about 574 customers. Many customers said that since they started use of spin rewriter they have seen increment in their productivity. They said that with the help of this software they rewrite many article with quality work and less time and efforts. This helps them in content marketing business very much. 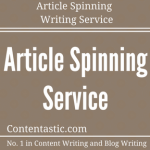 Overall the spin rewriter is a useful and innovative tool if used purposely. With its advanced mechanism and algorithm the articles and texts are rewritten without any plagiarism. This software is useful for all users from student to a writer.